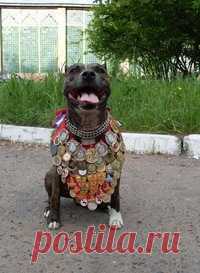 Sergey Bezuglov posted Training of dogs in Omsk\u000d\u000aATTENTION! THERE IS A SET TO GROUP! !\u000d\u000aUnder the leadership of Natalya Chaika (instructor of RKF, judge on working qualities. )\u000d\u000aBezuglov Sergey Ivanovich candidate for the Master of Sports in OKD + ZKS\u000d\u000aThere is a set to groups of training of dogs of all breeds and all age at the rate of UGS (The operated city dog. ), GCT (general course of training), ZKS (protective guard duty). Persons interested, at successful examination, will gain the diploma of the established sample about delivery of tests (RKF) to Training of dogs in Omsk Bezuglov Sergey.